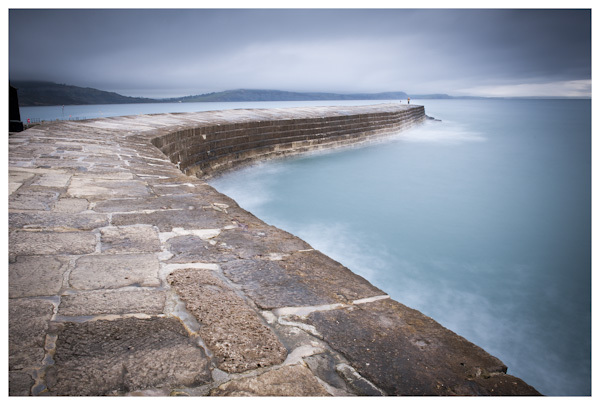 The Cobb is very photogenic. This sweeping image was taken with a wideangle lens, and a x10 neutral density filter to smooth out the waves. The couple at the end are in an embrace, giving rise to the title.